Highlights: Crossing the Panama Canal, Not getting lost travelling solo. 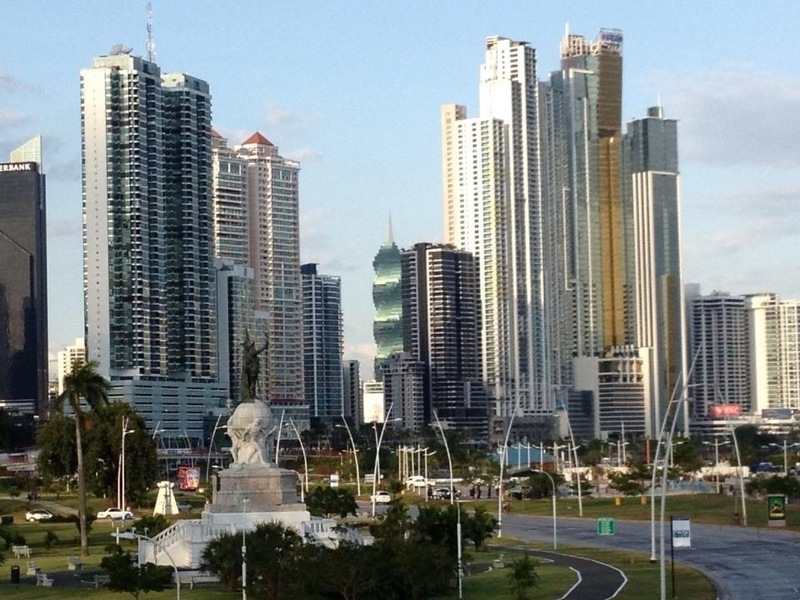 Today I left the group in order to get to Panama City and get a full day to tour the city and the canal. This is necessary since I’m leaving the Panama Experience one day early due in order to catch my flights home to Australia. The wonderful Liza detailed how I could get to Panama City by myself and organised additional accommodation and my city and canal tour for tomorrow. Considering I’m officially off the tour today and won’t be rejoining until tomorrow night this is above and beyond. So the day started with meeting Lisa in the hotel restaurant in Santa Catalina, we then cross the waterway and met up with the hotel owners son who Liza organised to take me to the local bus station. The local bus to Sona cost $4.65 (I paid $5 and didn’t bother with any change) and took an hour and 40 minutes with multiple pickups of locals and standing room for quite a few but not myself. From Sona I managed to locate the direct bus to Panama City that Liza said should be leaving at 10.20 am this meant no worries about bus changes. The journey only took 4.5 hours and cost $9.85 so very cheap. Plus not many people on the bus so easy to spread out today. Then from the Central Bus Terminal it was an easy 12 minutes taxi drive to my hotel. Very happy everything worked out. During the bus trip into Panama City I think I crossed the Panama Canal, it was enormous and there were lots of ships around. I can’t imagine it wasn’t the Canal given the size but I suppose I’ll find out tomorrow. I ventured out of my final hotel in Central America and not more than two blocks out I was offered girls ‘for comfort’ just as predicted by our Tour Leader. There appears to be some big event on today as some of the roads are closed. Tomorrow is my final activity of this world trip and then Imy tour group catch up and I say goodbye for the last time.